Google+ Mommy Moments with Abby: Naturepedic Giveaway! The Holidays are upon us! That means running around, stress, carrying sleeping kids, and putting together items in the middle of the night leaving us exhausted and strained. How about a little help with that? Who wouldn't want a new mattress to help them have a good night sleep? I know I would love one! 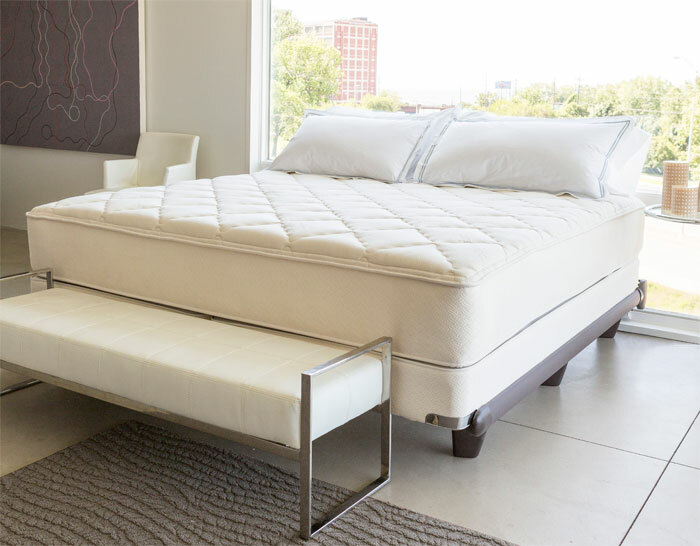 About Naturepedic: Naturepedic specializes in the design and manufacturing of quality organic mattresses for infants, toddlers, children and adults that promote natural and organic materials, a non-toxic design, fire-safety, and overall health & safety. All Naturepedic natural and organic mattresses have been designed with the help of pediatricians, orthopedic specialists, chemists, and engineers and are constructed by Amish craftsman. Research and design is coordinated by G.E.M. Testing & Engineering Labs in Cleveland , Ohio. All Naturepedic mattresses are manufactured to provide long lasting heirloom quality workmanship. We have done the research and gathered the right materials so that you can focus on what really counts - giving yourself or your child a healthy sleep environment. We believe that Mother Nature provides the best materials for a healthy and comfortable sleep. Life is too valuable to take unnecessary chances. Why not just use more natural products that don't carry the same risks as synthetic and petroleum based ingredients? All of us at Naturepedic invite you to join in our mission of improving our lives and the lives of our children through healthier sleep. In doing so, you are also promoting sustainability and good stewardship. Disclosure: Mommy Moments with Abby did not receive compensation for this giveaway. Facebook, Twitter, & Pinterest are in no way associated with this giveaway. Prize fulfillment and shipping will be handle by NaturePedic. I would love to win because I would love a healthier sleeping surface for our cosleeping family!